The Leprechaun, played by Linden Porco. 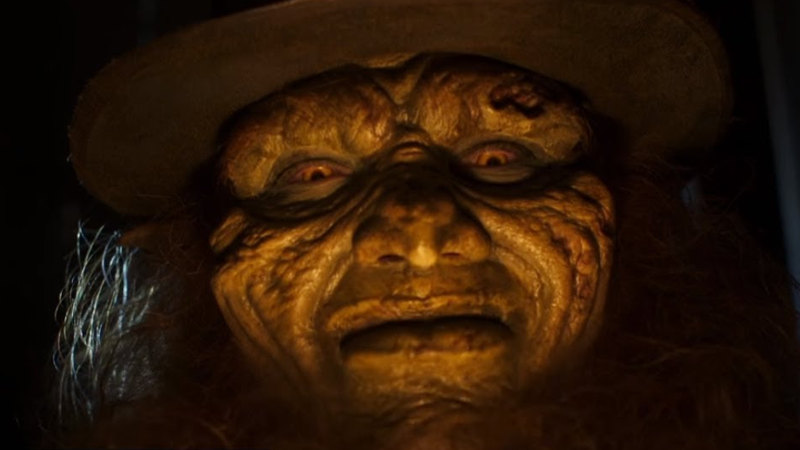 Syfy has made some questionable programming choices in the past, but few rank as baffling as this: the network has announced Leprechaun Returns, the newest installment what might be the most inexplicably racist horror movie franchise ever made. Yes, that’s correct, this is a movie series where an evil leprechaun fights black kids because they stole his money. This is what we’re dealing with here. This is the territory we’ve all walked into together. Listen. Syfy, I have a message for you, and for the talented Suzanne Kelly (Ash vs Evil Dead) who has inexplicably signed on to write this disastrous film, and for all the cast and crew attached to it: You don’t have to do this. I know you’re committed to celebrating B-movie horror, and I understand you’ve gotten a lot of mileage out of stuff like Sharknado. But you don’t have to revive Leprechaun. No one wants you to. It’s not too late to just can it. What about Hellraiser? Everyone likes Hellraiser. What’s Clive Barker up to these days, anyway? Maybe look into that. Oh, and here’s the trailer, which of course was released on St. Patrick’s Day, though I don’t recommend watching it unless you’re braced to fully accept the reality that someone thought it was a good idea to make this movie.